One of the many myths of the vaccine denialism movement is that healthcare workers will quit if there is a mandatory vaccination, usually the flu. Many of the healthcare worker vaccine deniers base their opposition to vaccines based on thoroughly debunked lies about vaccinations. Their invented opposition to vaccines is in direction contradiction to their obligation to protect the health of patients. However, more and more healthcare systems are mandating the flu vaccine for their employees. A four-year analysis of mandatory influenza (flu) vaccinations, which are a condition of employment at Loyola University Health System in Chicago, IL, showed no statistical increase in voluntary terminations of employees. 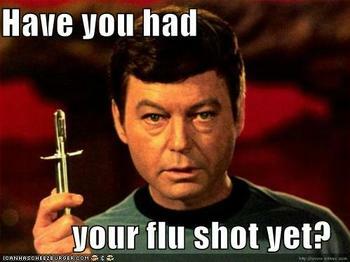 In the first year of Loyola’s mandatory policy (2009-10 flu season), 99.2% of employees received the vaccine, 0.7% (yes, 0.7%) were exempted for religious/medical reasons, and 0.1% refused vaccination and chose to terminate employment with Loyola. In 2012, the last year of the study, the vaccination uptake rate at Loyola remained steady: 98.7% were vaccinated, 1.2% were exempted and 0.06% refused vaccination. According to Dr. Jorge Parada, study author and professor of medicine at Loyola University Chicago Stritch School of Medicine, reported that “in reality our numbers were even better than that, of the 5 persons who refused vaccination in the mandatory period, 3 were unpaid volunteers, who later reconsidered, received vaccine and returned to Loyola. The two other persons were part-time staff, each with only 10% time commitment at Loyola…truly reflecting a 0.002 vaccine refusal rate” reports Parada. 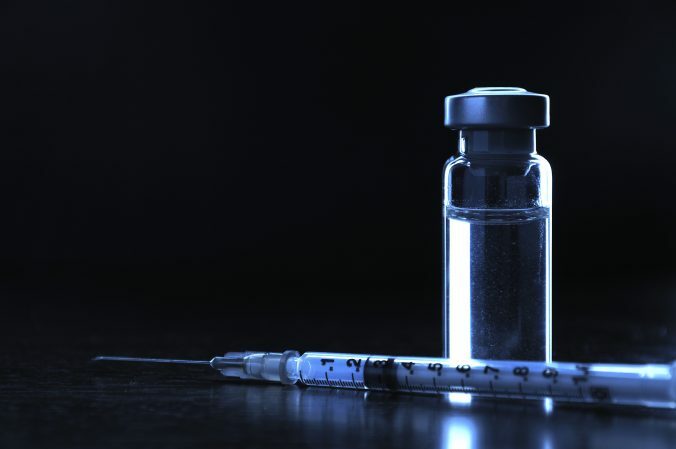 The study showed that, over the course of four years, less than 15 staff, including volunteers, out of approximately 8,000 healthcare workers in the system, chose termination over vaccination. Loyola has sustained a 99 percent compliance average since adopting the mandatory flu vaccination protocol four years ago. Higher vaccination levels among staff have been associated with a lower risk of nosocomial (hospital-acquired) influenza cases. Influenza outbreaks in hospitals and long-term care facilities have been attributed to low influenza vaccination coverage among health care workers in those facilities. Higher influenza vaccination levels among health care workers can reduce influenza-related illness, and even deaths, in settings like nursing homes. If an office worker gets sick, he or she might spread germs to co-workers who sit nearby. But if doctors or nurses get the flu, they can pass it to the dozens of patients they come into contact with each day—many of whom have other conditions that render them more susceptible to infection. The flu still kills thousands of people each year in the U.S., most frequently those with underlying conditions, who also have more frequent contact with medical personnel than the healthy. Arnold Monto, a professor of epidemiology at the University of Michigan School of Public Health, calls the decision to pass up the vaccine—whether you are a health worker or not—”stupid behavior,” noting that the demonstrated benefits to yourself and those around you far outweigh any slight risks of adverse reactions. It’s clear that healthcare workers have a moral and ethical obligation to do no harm to their patients, which is embedded in codes of most healthcare professions. Stopping the spread of disease by vaccination, which has substantial science based medicine supporting its safety and effectiveness, should not be subverted by personal feelings on the matter. If a doctor or nurse or laboratory worker does not want to get a vaccine, they have other choices in profession that doesn’t require them to protect their patients from vaccine-preventable diseases. Loyola made it mandatory, and just a handful of people quit, and a tiny percentage had either a medical or religious exemption. Good for Loyola, because vaccines save lives.